Why do projects keep Pull Requests open? What’s a reasonable amount of time? Here’s a few thoughts. PRs are a shout. They are HERE IS SOME CODE and they create work for the maintainer. They are needy things and require review and merging, but even worse, sometimes manual merging. Plus for folks new to Git and Open Source, asking them to “rebase on top of latest” may be enough for them to just give up. If you close a PR without merging it, it’s a rejection. It’s a statement that this work isn’t going to be used, and there’s always a chance that the person who did the work will feel pretty bad about it. A PR originator may intent to change a single word (misspelling) but their PR changes CRs to LFs or Tabs to Spaces, it’s a hassle. It’s generally considered poor form to send a PR out of the blue where one just ran a linter or formatter. If the project wanted that done they’d ask for it. Unfortunately some PRs show up out of the blue with major changes, file moves, or no context. If a PR wasn’t asked for, or if a PR wasn’t requested, or borne of an Issue, you’ll likely have trouble pushing it through. Thanks to Jon and Immo for their thoughts on this (likely incomplete) list. 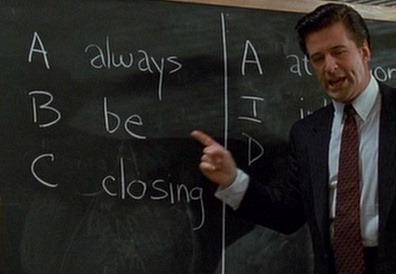 Jess Frazelle has a great post on “The Art of Closing” that I just found, and it includes a glorious gif from Glengarry Glen Ross where Always Be Closing comes from (warning, clip has dated and offensive language).